Plastic plugs can be formed in different ways such as injection form molding, or blow molding, but one of the most common methods of manufacturing plastic plugs is through the process of dip molding. 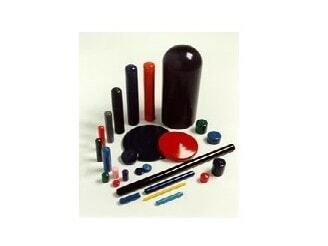 Plastic dip molders form a mold or mandrel in a hollow version of the shape they desire. This mold is then dipped into a container of molten polymer, usually a material such as PVC pr plastisol which has been heated to its ideal viscosity. Once the mold has reached its desired dwell time in the plastic, it is slowly removed and the plastic coating is left to harden. Depending on the polymer used, the covered mold can be heat treated to further achieve the desired finish. 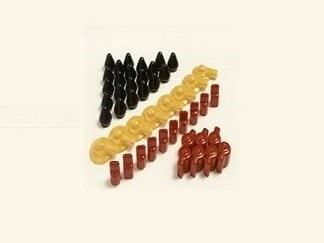 Used by industries such as automotive, finishing, food services and HVAC, plastic plugs and plastic caps are a common stock item and as tubes, pipes and fittings often come in standard sizes, it is possible to source plugs to fit those sizes from warehouse suppliers. Common types of plugs include round, square or rectangular, but they can be manufactured in custom shapes too. By adjusting liquid temperature, dip speeds and times and withdraw speeds, manufacturers can design plugs with varying color, texture, wall thickness, material hardness and length. Tapered plugs can fit into a number of openings and still provide a satisfactory seal. As plugs are often used to provide seals, it is important that they fit correctly, especially in the case of a waterproof or airtight seal and so high precision is required. Plugs can be molded to be flush fit when they are used to fill a hole in a piece of metal sheeting or a hole in the side of an automobile under construction for which a smooth surface is required. Other plugs that are used on a temporary basis can be constructed with pull tabs for easy removal. Square plugs click into place, and grooved plugs grip tightly to the interior of the opening ensuring a secure fit. For each of these plugs, automated machines can perform most of the dip molding process, allowing labor costs to be relatively low. Each plastic plug takes only a few minutes to manufacture from start to finish, and dip molded objects rarely require secondary finishing. Therefore, high quantities of plugs are able to be produced in fast turnaround times. Plastic Plugs Plastic plugs are used to seal or block the openings of tubes, pipes, fittings and connectors in order to prevent flow of materials past a certain point in either direction, and to protect against unwanted contaminants such as dirt and moisture. They can also be used for marking protection during finishing processes such as painting or coating.